Simulation data provenance: JHU DNS code (see README-MHD for more details). Incompressible MHD equations are solved using pseudo-spectral method. Energy is injected by using a Taylor-Green flow stirring force. 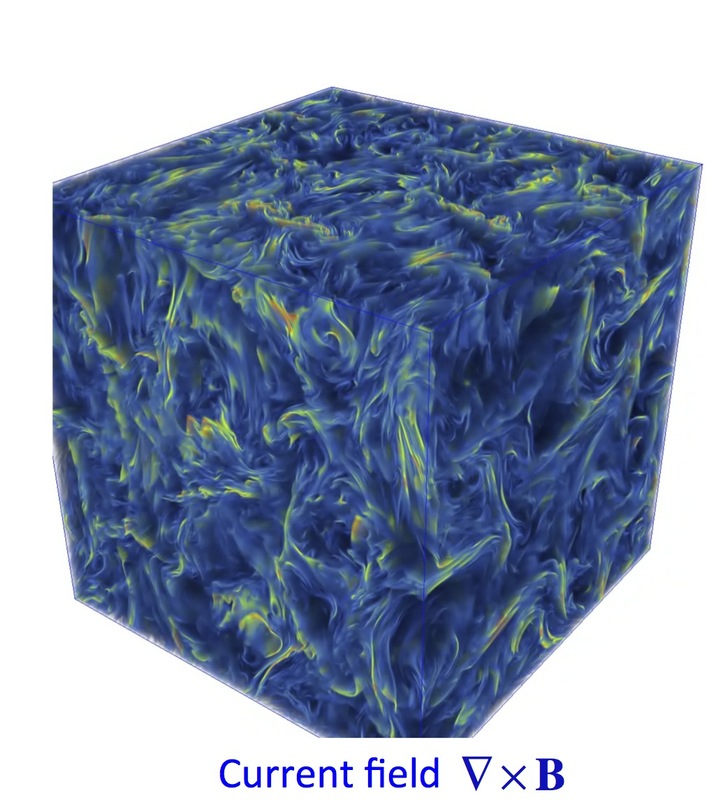 After the simulation has reached a statistical stationary state, 1,024 frames of data with 3 velocity components, pressure, 3 magnetic field and magnetic vector potential components are stored in the database. The Taylor-scale Reynolds number fluctuates around Rλ ~ 186. 1024 timesteps are available, for time t between 0 and 2.56 (the frames are stored at every 10 time-steps of the DNS). Intermediate times can be queried using temporal-interpolation. A table with the spectra of the velocity, magnetic field, Elsasser variables, cross-helicity and magnetic helicity can be downloaded from this text file. A table with the time histories of energy and dissipation, both kinetic and magnetic, as well as of magnetic and cross helicity, can be downloaded from this text file.